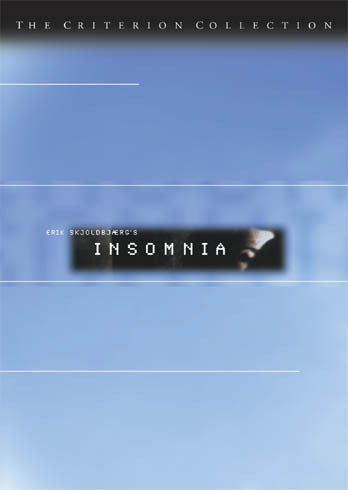 By 1997, when Insomnia came out, I was head-deep into electronic music, and I bought the soundtrack without much caring about the movie itself. I must have come across it in one of the used record stores scattered around D.C. (Flying Saucer, DCCD, 12” Dance Records), because there’s no way I could have afforded the Norwegian import. Not on a bookseller/part-time DJ’s salary, at least. I’ve been a fan of Geir Janssen ever since he was a part of the band Bel Canto (with ethereal chanteuse Anneli Drecker and cute, bespectacled Nils Johansen). I first discovered Bel Canto on Teletunes, with their video for “Birds of Passage,” and being a sucker for moody European synth-pop with gossamer singers, quickly tracked their first two albums which — luckily for me — were released in the US. Janssen’s solo work under the moniker Biosphere, however, was slightly more difficult to find: his first two albums were only released in Austria on the famed ambient label, Apollo. What I knew of ambient music when I was younger was what I’d heard on Hearts of Space. I sat beside my Dad’s stereo at midnight on Saturday, my finger hovering above the ‘record’ button on the cassette deck. Even though I enjoyed it, much of what I heard struck me as hokey — like I should have been weaving dreamcatchers as I listened. I felt the same way about soundtracks, as well: stripped of their emotional context, soundtracks seemed somewhat thin. But by the time I hit college, ambient music had taken a different place in my life. I’d outgrown industrial music (no longer angry) and mainstream dance music (overexposure from work). What I wanted — after an afternoon of shilling books and then a night of playing David Morales and Peter Rauhofer remixes — was to be transported. Out of my studio apartment, out of Dupont Circle and its lazy Susan of entertainments. When I put my CD of Insomnia into the player, I let the sound sink me deep into Norway. The music was sparse and icy: refracted piano chords, low electronic throbs. I wondered: what was happening in the film at that moment? Who were those ghostly faces on the cover? Why the tagline “No rest for the wicked”? It was a soundtrack not for any film in particular, but the one projected on the ceiling as I lie on my futon, hands behind my head. Yesterday, on the summer solstice, I rewatched Insomnia. NPR had broadcast a story about the Midnight Sun Parade in Nome, Alaska, and I imagined the all-night (-day?) parties starting up in Scandinavia. Pagans jumping over bonfires, beaches awash with vitamin D-seekers. Sleepless Swedish detectives getting trapped in Norway and having hallucinations about their murdered partners. Upstairs, on the third floor ‘man-den,’ I reclined on the couch in the sweltering heat. The A/C blew intermittently. Matthew was out watering the garden, trying to save his plants. I put on Ruxpin’s album Avalon and remembered why I listened to ambient music: it sets your mind adrift. By the time “In Form of a Bird I Meet My Creator” came on, I had unmoored from the blistering Delaware summer and, amidst sunshine, slept blissfully.